We've got fridge issues and heat issues lined up in our emails today, and I'm combining them for one blog post for giggles, and also for the thrill of tangential hyperlinks. A while ago, there was a client who called and talked to many members of our staff. She had a tale of joy turned to a tale of woe - she had won big at a meat raffle, and had stocked her fridge with proteins for the year to come. But. Her fridge died, and all the meat spoiled. She was so upset - she had spent the better part of her (meager) expendable income getting food for herself, and here it was, gone, and she really wanted to hold someone responsible for that cost. She wanted her darn meat back. But it wasn't so simple. The landlord hadn't known that the fridge was on the brink of death, and as soon as it died, a new fridge was ordered and delivered (it was a couple days). So, it seemed, from the outside, that the landlord wasn't negligent (the landlord couldn't have prevented the problem). Also, the landlord did what she could do to actively deal with the problem (a new fridge replaced the old relatively quickly). More about negligence here. The last misfortune in this story is that the woman didn't have renter's insurance - renter's insurance that likely would have covered equipment failure, and depending on her policy, might have covered the replacement cost of that meat. More about renter's insurance here. To figure out if the landlord was negligent: Did the landlord know that the fridge was on the fritz? Were there indications that it was in need of repair? Did the tenant write any of those concerns down? In another tale of fridge frustration, a family rented a home and had a refrigerator that died. They told their landlord immediately, and even though their landlord took action right away, the new appliance wasn't delivered until 2 weeks after the old fridge had failed. But what were they supposed to do meanwhile? Put everything in writing: Something like this. Make sure that you have a paper trail explaining when the appliance died, and when the landlord says the new one will get there. The landlord is supposed to keep "supplied equipment" in a "reasonable state of repair." The law doesn't give specifics about what that means, so as long as the landlord is acting "reasonably," it's hard to say that they aren't doing what they're supposed to be doing. Negotiate with the landlord. This is how you come to an agreement about what is the best way forward. Perhaps the tenant thinks that the landlord should bring over a fridge from a different unit, or give a mini fridge for a little while. Or perhaps the tenant gets a mini fridge and takes that money off of their rent. There are lots of creative solutions here - they key is to see if you can find the solution that works the best for all of you. Click here for a negotiation strategy. (And make sure to put that agreement in writing, too). Worst case scenario: the tenants can keep track of their extra expenses, and then sue the landlord for reimbursement. More about small claims court is here. If the landlord isn't doing anything (and isn't replacing the fridge): then you should treat it like a repair, and follow the steps on this page. (This is a re-print from last year! But the info is still good). We're hearing from a lot of tenants right now - not everyone has their heat on yet. And it's chilly out there. Summer seems to be ending with a frosty whimper, and for the tenants living in units where the heat hasn't yet been turned on... it's chilly. So, what's to be done? Lots. Apartment temperatures are not supposed to sink below 67 degrees, whether or not it's still technically summer. Steps for tenants and landlords, below. 2. Write Another Letter (Optional): We encourage this, if you have the capacity to be patient. If your house is 65 degrees, this might be the step for you. If your house is 40 degrees, definitely not. It helps to follow up, explain that the deadline has passed, and that unfortunately, you'll be forced to call the building inspector if no change in the situation occurs. 3. Call the Building Inspector: If, after your letters, your landlord hasn't turned the heat on, then it's probably time to call the building inspector. If there's an operational Building Inspection Department in your area, they can order the landlord to fix certain problems, like heat. The Building Inspector will order the landlord to make the repairs by a deadline and will come back to see that the repairs are complete. See our list of Local Building Inspectors at the bottom of our Repairs page. If you live in an area that has no building inspector, you can try calling a fire department or public health inspector or the Department of Safety and Professional Services. Sometimes they are able to visit a home that is in need of repairs and sometimes they are able to persuade the landlord to take more significant action. 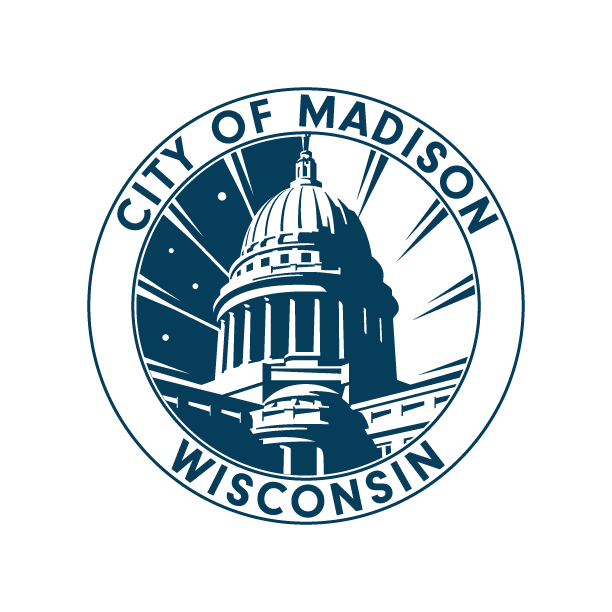 For those living in Madison and Fitchburg, after calling the building inspector, there are further steps you can take - check out our MadFitch Repairs page for information on "rent abatement," and "repair and deduct" procedures. 4. File a complaint with Consumer Protection: As an after-the-fact step, it might be worthwhile tofile a complaint with the Department of Agriculture, Trade & Consumer Protection. They have the capacity to mediate some disputes, and will keep complaint records for landlords, allowing future tenants to possibly steer clear. 1. Some Sympathy: It can be tough, especially if you're a small time landlord, and you've seen mounting costs. It can be hard to maintain all the services you're supposed to, and it can be hard if there's no profit in it, when there was supposed to be. But, this is a business, and it's your duty to make sure that the rent is set at a level where it's worthwhile for you to provide the services you've promised to provide. If not, that's on you, not the tenant. 2. The Truth: It will be costlier not to turn the heat on. I'm serious. Repair the furnace (can you imagine the costs if the pipes burst? ), before the tenant gets to the point where they can sue you for DOUBLE their expenses for this problem. 3. Get Some Help: There are organizations that can help weather proof a home. In Madison, Project Home can install efficient furnaces and do some weatherproofing. Around Wisconsin, you can seek energy audits from utility companies. If you're looking for organizations that might be able to help you out in your area, check out 211 or your utility company - they're often good places to start. Wis. Stat. 704.07(2)(a)2 says that it's the landlord's duty to maintain and repair "all equipment under the landlord's control necessary to supply services that the landlord has expressly or impliedly agreed to furnish to the tenant, such as heat...," so it's definitely the landlord's job to make the heat work. ATCP 134.04(2)(b)2 says that a landlord must disclose to the tenant, before moving in, if the heating system is not capable of maintaining at least 67°F in all living areas of the apartment, year round ("during all seasons of the year in which the dwelling unit may be occupied"). If there hasn't been any disclosure to the tenant, BEFORE moving in, that the furnace doesn't work, then it needs to be treated like it works and can do this whole heat thing. * To be clear, if the lease says that the tenant has to pay for heating bills, then the tenant has to pay for heat. Wisconsin has a moratorium on turning off heat from November 1 - April 15, but if the tenant doesn't pay their heating bill, then it's not the landlord's responsibility to get that heat turned back on. It is the landlord's responsibility to make sure it's possible to have heat that is at least 67°F. Also, did you know that we aren't attorneys here at the TRC? And this isn't legal advice, either. If what we've written doesn't sound right to you, consult with someone you trust. A list of housing attorneys is available here.